Viroc cement bonded particle boards offer a cost-effective, natural facade solution suitable for a wide variety of applications. Combining the durability of cement with the flexibility and workability of wood, Viroc cement bonded particle boards are used widely by architects, designers and installers for their many benefits. The Viroc board is a composite material, created from a compressed and dry mixture of pine wood particles and cement. Its natural appearance can be finished to suit varied architectural needs, with either a raw, polished or sanded appearance. From 8-32mm, depending on board colour and size. 3000 x 1250mm and 2600 x 1250mm. Please contact BBS Facades to enquire about colour availability against size and thickness. Viroc boards offer a B1 fire rating, according to European standards. Add to this, moisture resistance, thermal efficiency and ease of installation, Viroc boards offer the ideal solution for versatile projects with demanding specifications, yet balanced with cost efficiency. 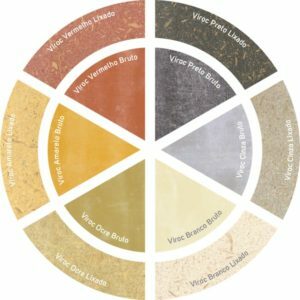 Viroc cement bonded particle boards are not only suitable for facade application but also extremely versatile, the boards are ideal for use both indoor and out. Viroc’s structural strength means it is strong enough to be used for flooring, partition walls, roof structures and even ceilings. The natural beauty and unique surface textures of the material shows through to create a flexible board for uses in furniture, interior design and decorative architecture. Viroc provides a 10 year warranty on its boards against deterioration from the date of purchase. Viroc cement particle boards can be installed as a mechanical screw-fix or with adhesive, onto a timber, aluminium or metal subframe. Please download the Viroc technical guide for advise and guidance on installation, according to application type.